You’ll continue inhaling fatty fromage no matter how science feels about it, but Chinese researchers are at least giving a peer-reviewed defense. New findings suggest that the calcium-rich dairy product might help improve heart health. They claim that a daily serving of 40 grams — a matchbox-size portion — could reduce people’s risk of developing heart disease or stroke. Their paper, published in the latest European Journal of Nutrition, studied the diets and health outcomes of more than 200,000 people across the U.S. and Europe. 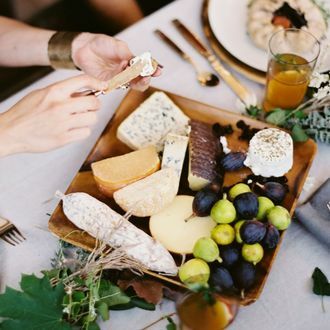 Those who had that little bit of cheese every day ended up 14 percent less likely to develop coronary heart disease, according to the data, and 10 percent less likely to suffer a stroke. Cheese may contain high levels of saturated fat, but the researchers argue that calcium reduces how much actually gets absorbed by the body. Previous research has been more ambivalent about the effects of eating cheese. Most studies echo one published earlier this year that said a high-dairy diet, while “not necessarily damaging to health,” is definitely not as good as vegetables with unsaturated fats. This new study was based on data about participants’ diets, not what made them eat what they did, so the reason could be that the cheese-eaters were richer (which typically equals better health outcomes), or even that they were vegetarian, so avoided meats that are recognized as less than ideal for your health anyway.